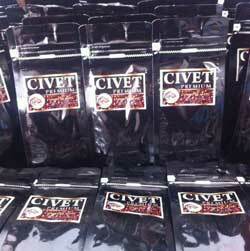 Available in 100g, 250g, 500g and 1000g bags of premium whole beans. 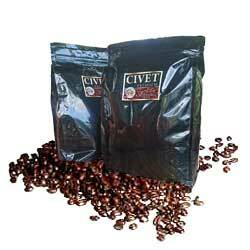 Civet Coffee refers to the coffee that includes part-digested coffee cherries eaten and defecated by the Asian palm civet (Alamid). 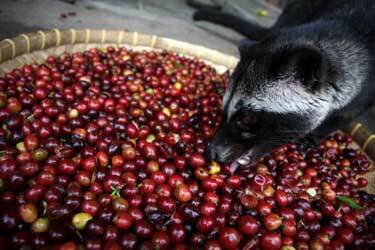 The nocturnal cat like animal will eat the best and chosen berries, and will digest the sweetest part of the coffee, which is the peeling. The droppings are then picked from the forest floor, cleaned and air dried. 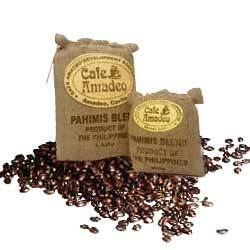 The parchments are then de-hulled and roasted. © 2019 MountainBrewCoffeeShop.com. All Rights Reserved.